Modulosteel by EuroCave is made up of easy to fit modules which can be attached to each other. 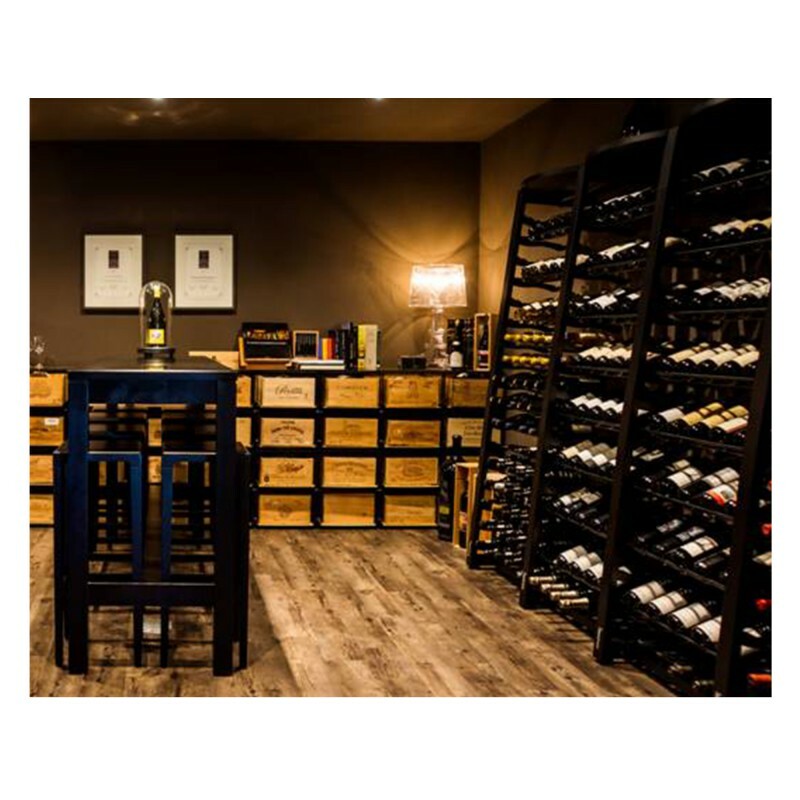 Its steel structure has clean, modern lines giving it a decidedly contemporary style. 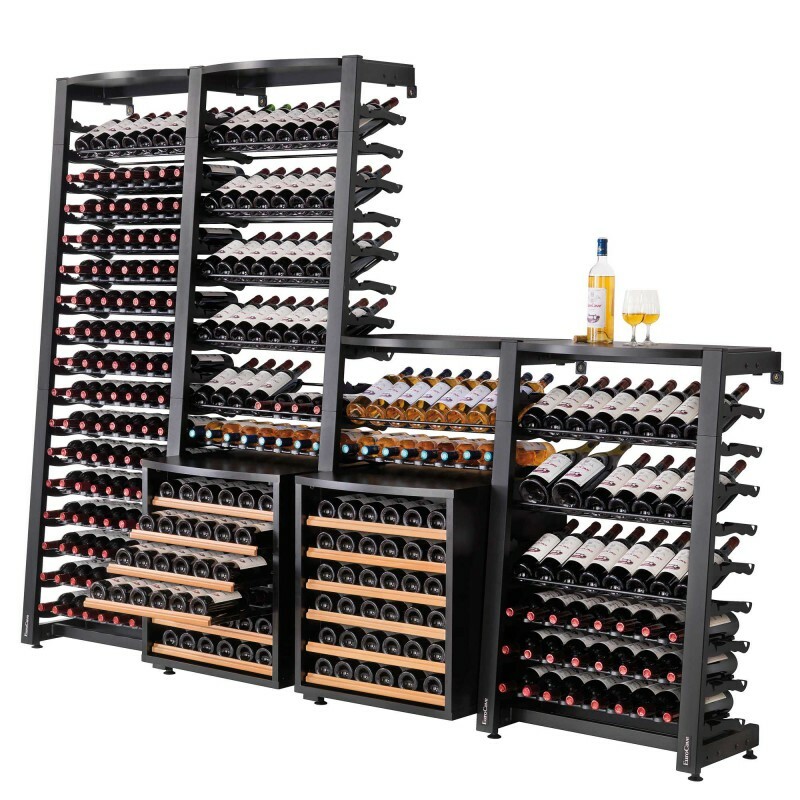 Customisable, Modulosteel can be assembled in endless ways thanks to its modules which are attached to each other side by side. 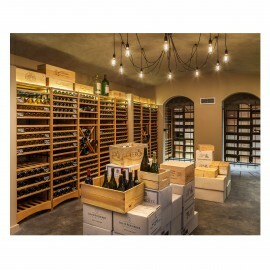 Adjustable to mid-height, it also adapts to low or arched ceilings! Modules are now available in 2 widths: 520 and 720 mm. 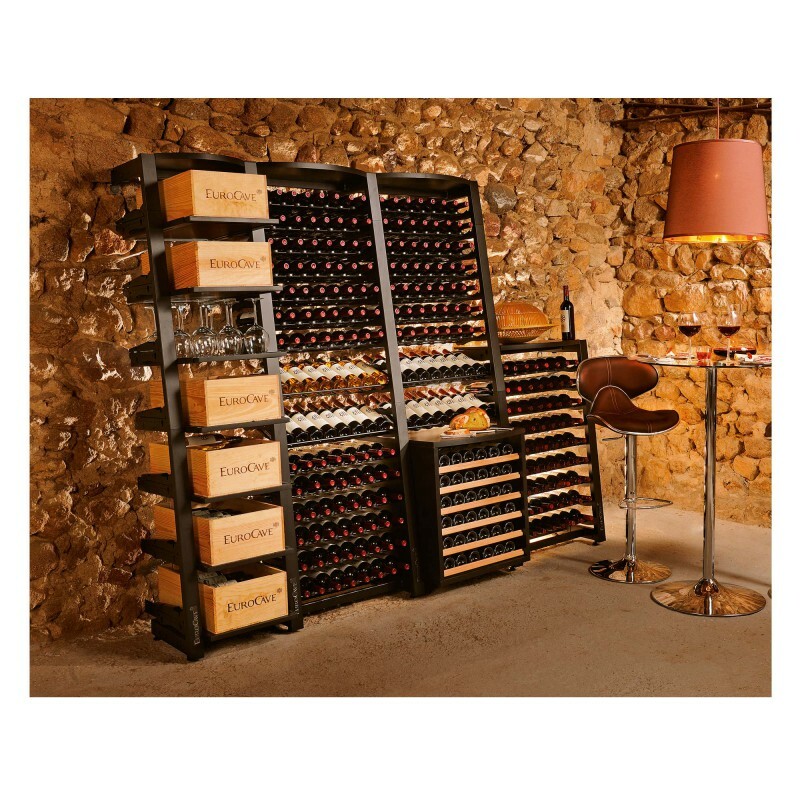 The narrower module allows you to make use of small spaces and optimise bottle storage. 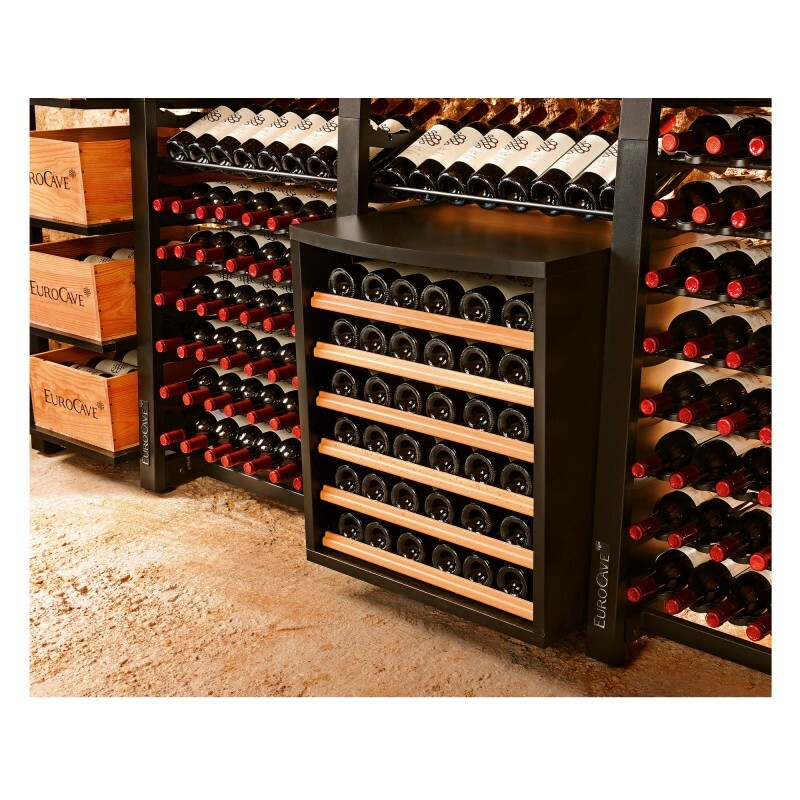 In addition, its sliding shelves have been specially designed to store your wine cases. 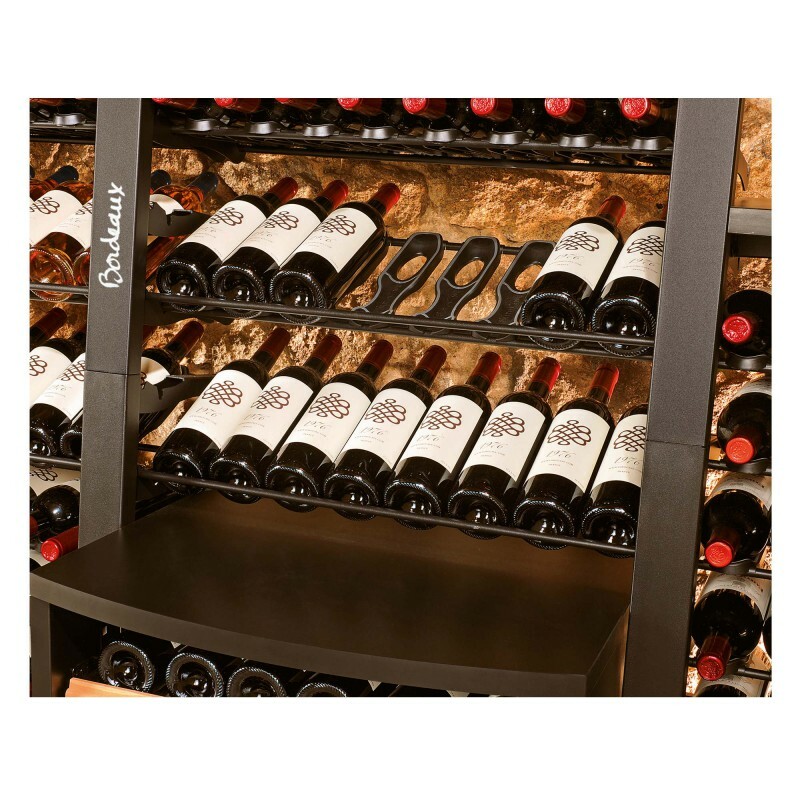 3 types of storage for your bottles: storage, display or sliding shelves for your wine cases (or other accessories). Any combination of the above is possible! 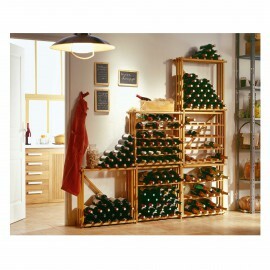 • Storage: capacity to store 85 - 136 bottles vertically on 17 rows. 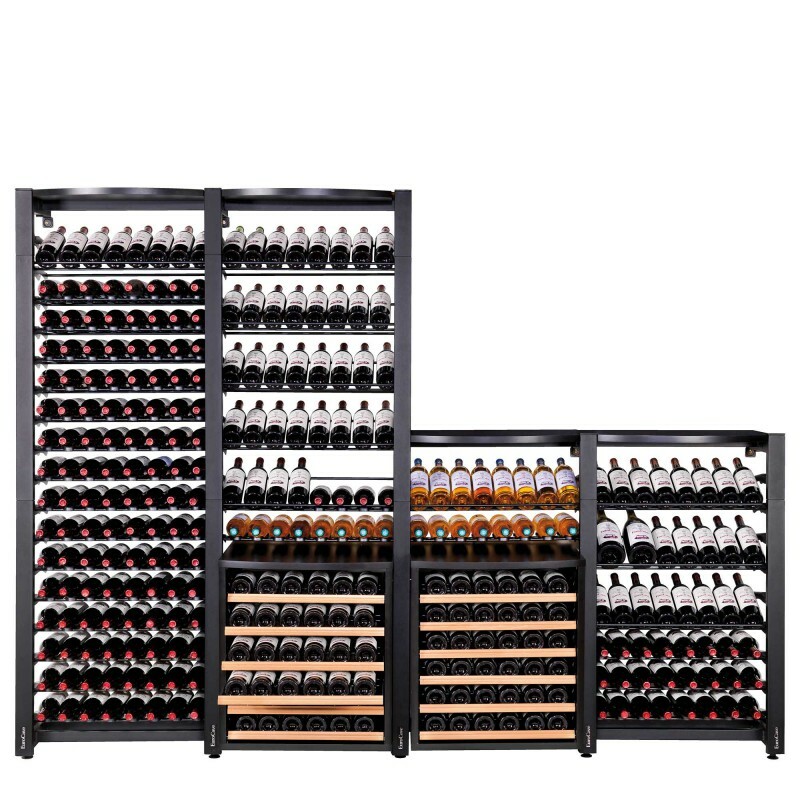 • Display: capacity to store 40 - 64 inclined bottles vertically on 8 rows. 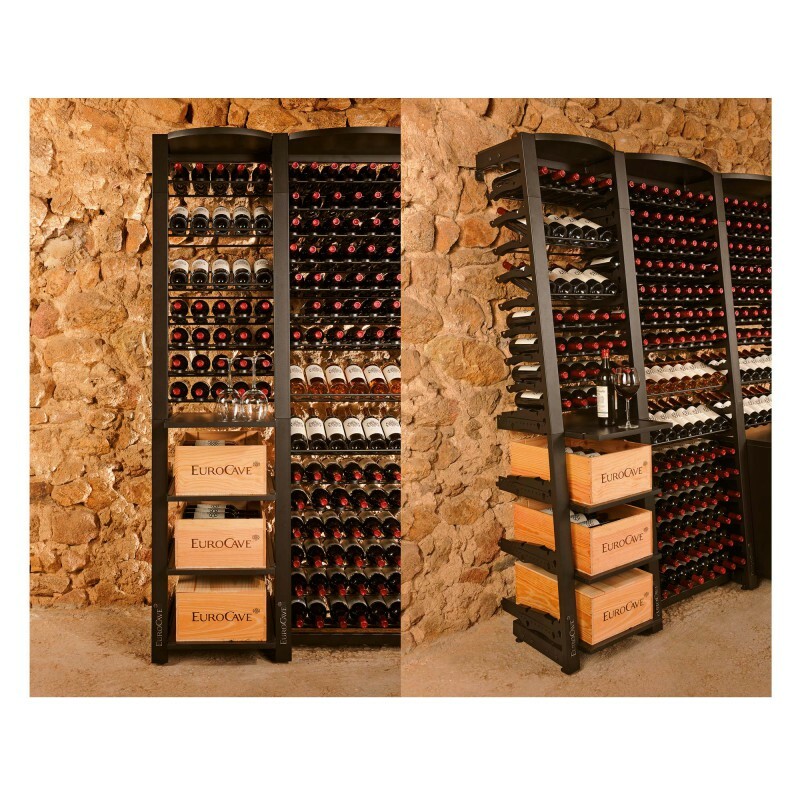 • Wine cases: The possibility of incorporating up to 7 sliding shelves for storing your bottles in their original wine cases. 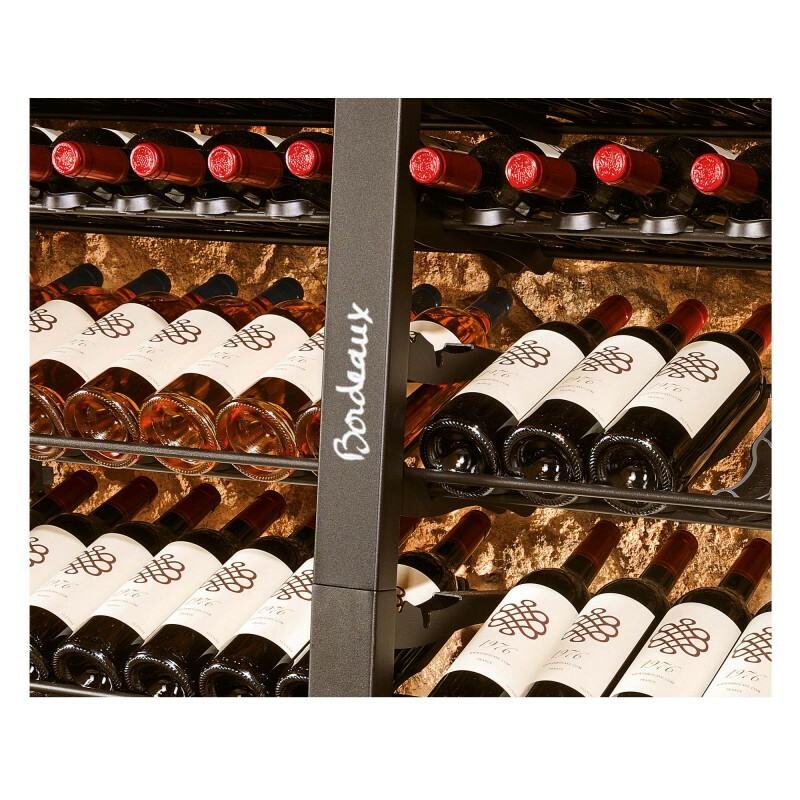 And, what’s more, easier bottle identification! 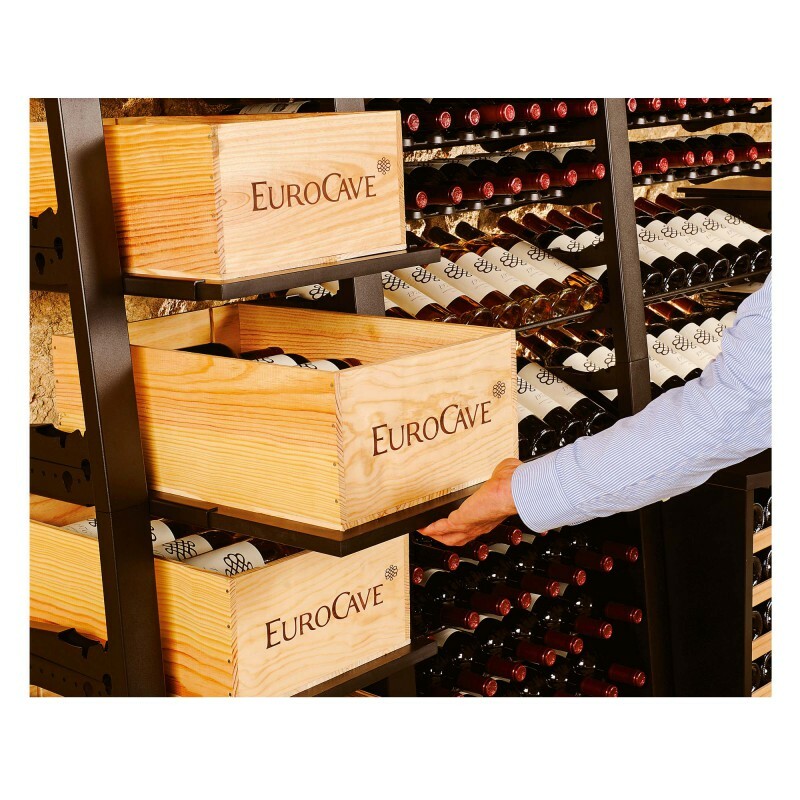 It is now easier to identify your precious bottles since you can write their name on the epoxy-coated steel structure, with the EuroCave erasable white marker pen. The structure was designed to be easily assembled. 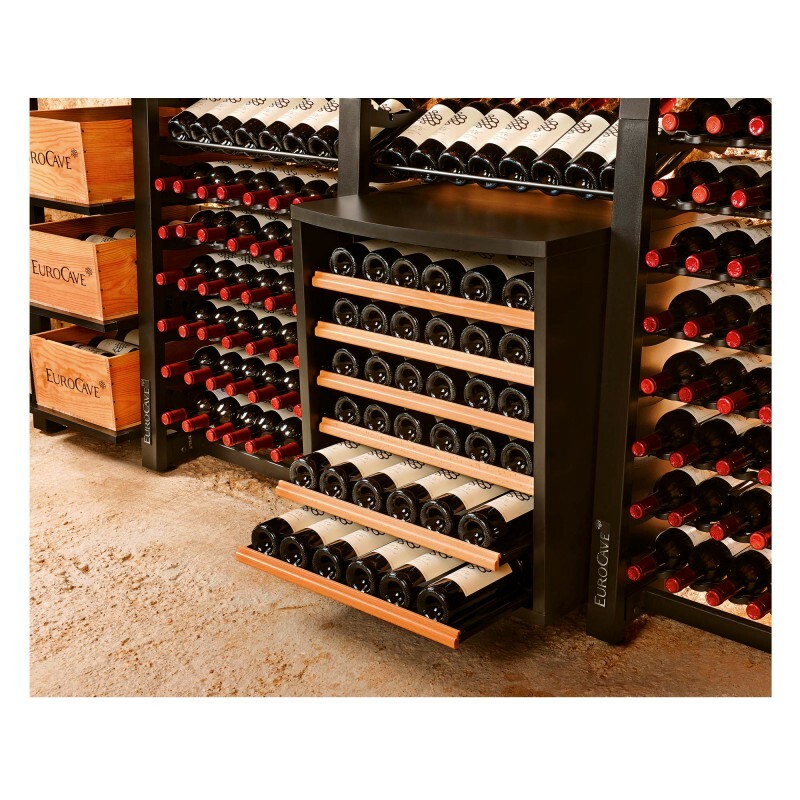 Three fastening systems ensure complete stability. 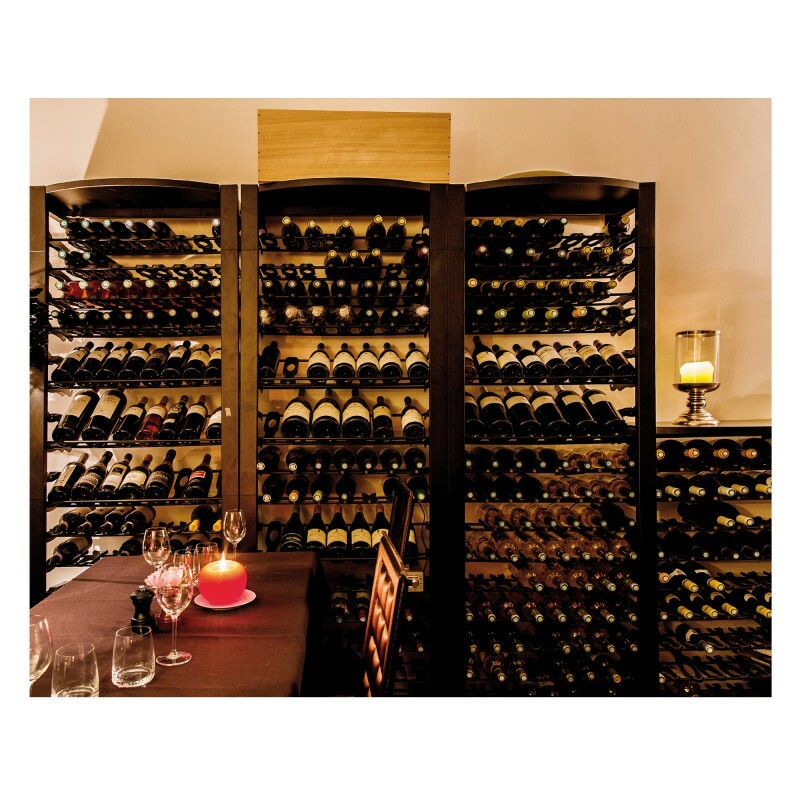 Discover our different optional extras to optimise your storage space and give it a warmer feel according to your requirements. 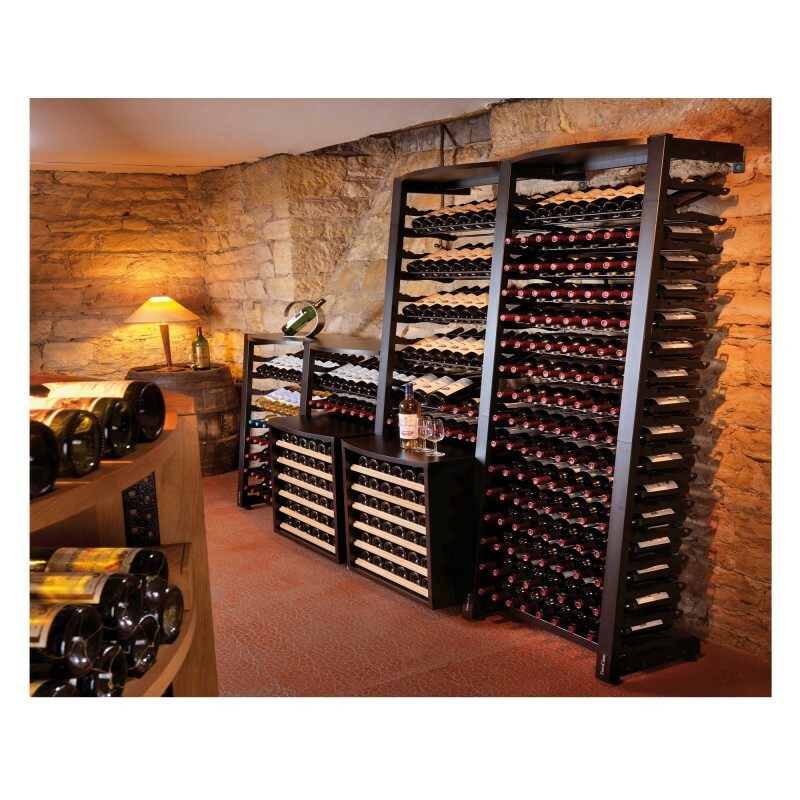 • Designed to be fitted in the 520mm wide structure. 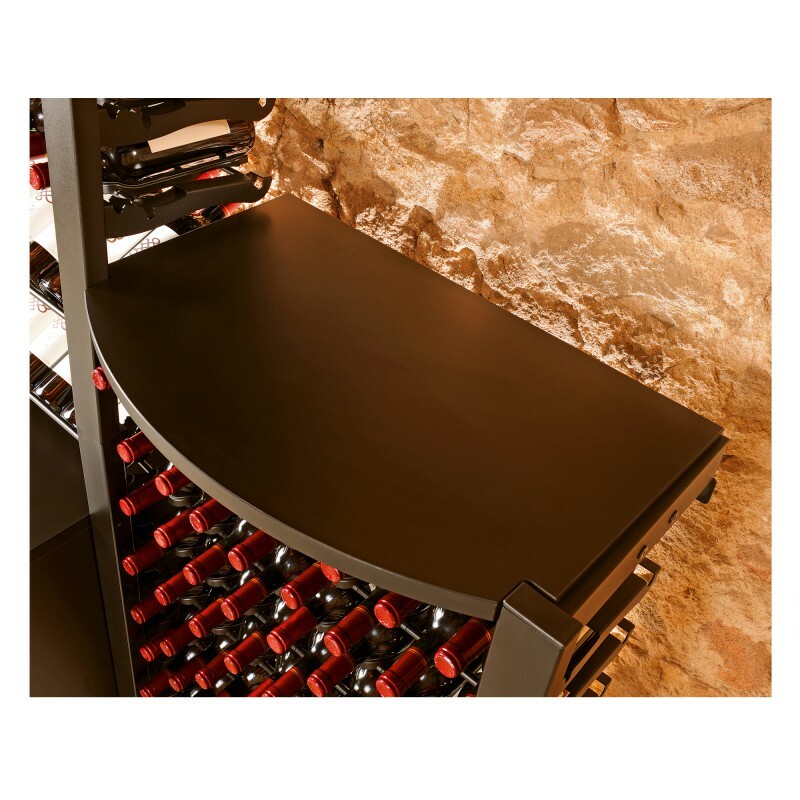 • Easy to assemble on the top of the column. 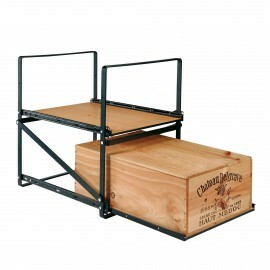 • Can be used on the structure at both full and mid-height. 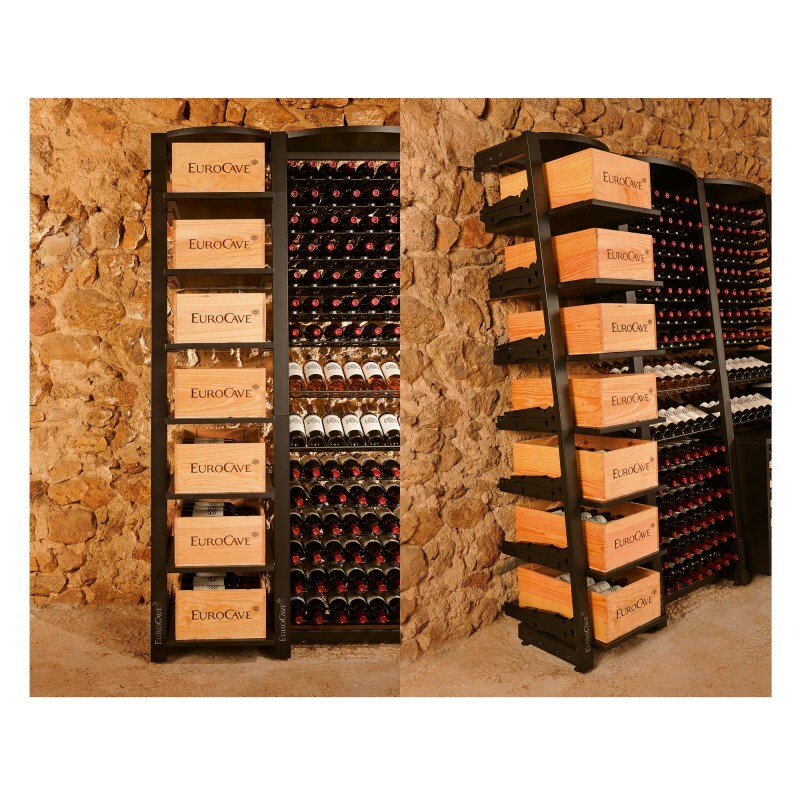 Available for both module widths (520 and 720mm).